I've received a couple entries already for November's challenge. This is the first one I received from Donna Davis. 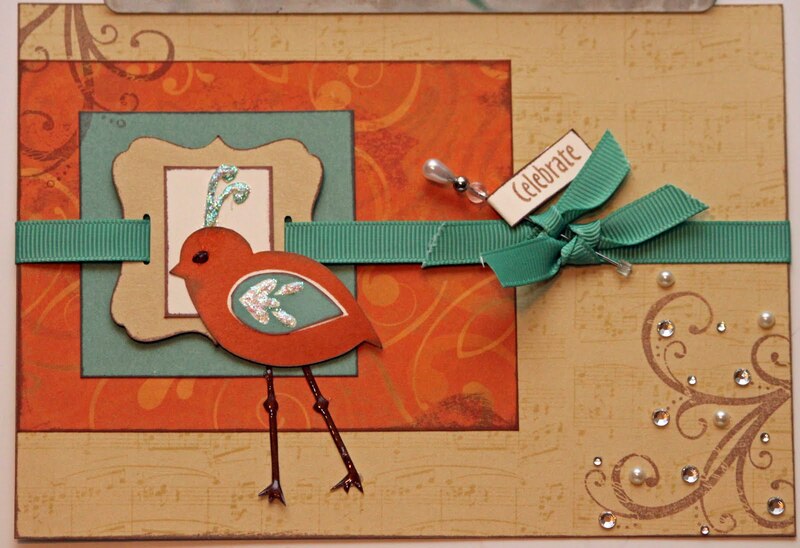 This beautiful card was made with paper that is an oldie but a goodie. November's challenge is not due until December so you have lots of time to get me your pics! And don't forget about October's challenge. Your chance to participate is coming to an end. Just send me a picture of something you created using stuff you bought from me a while ago and haven't used yet. Here are the rest of the cards I worked on last weekend at Byrncliff. 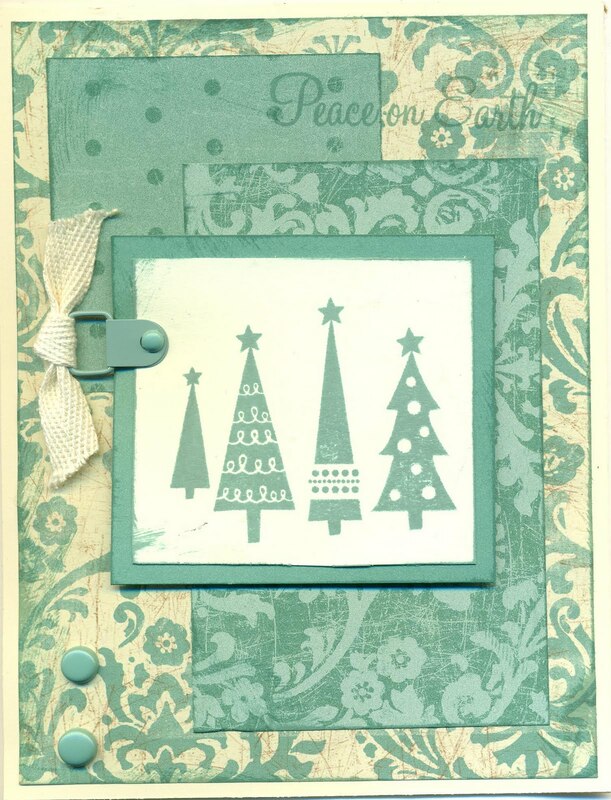 I just can't get enough of that old Felicity paper pack and stamp set. It is an oldy but a goody. 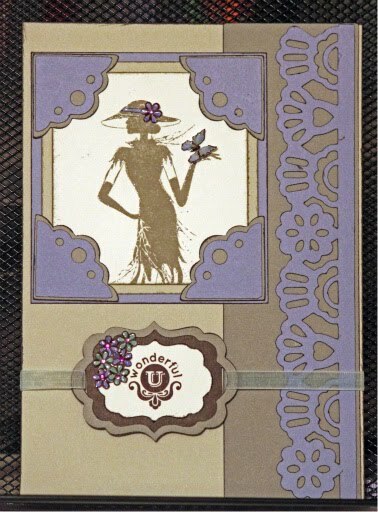 I tried with these cards to make an assortment of masculine and feminine. Most of them lean towards the feminine side...lol... what can i say... i love bling and flourishes and glitter! 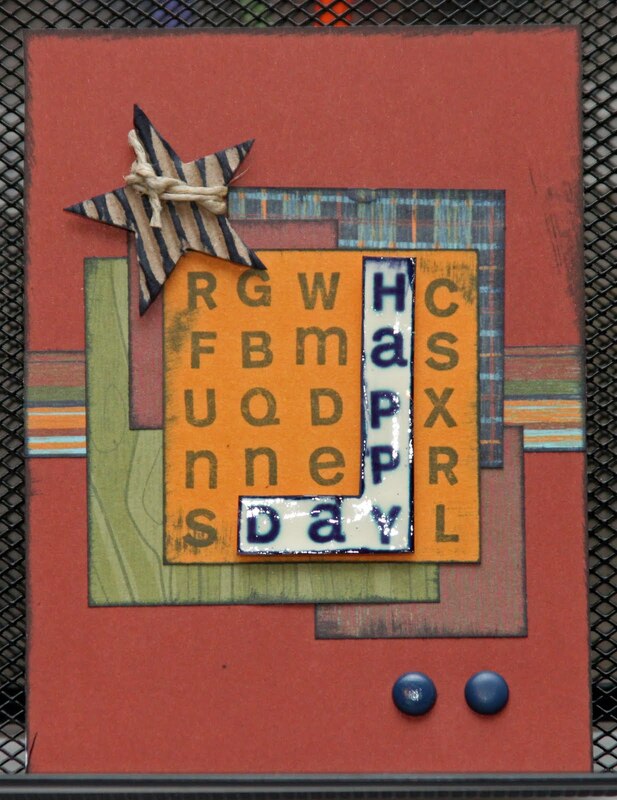 I used a wide assortment of stamp sets and cricut cuts. 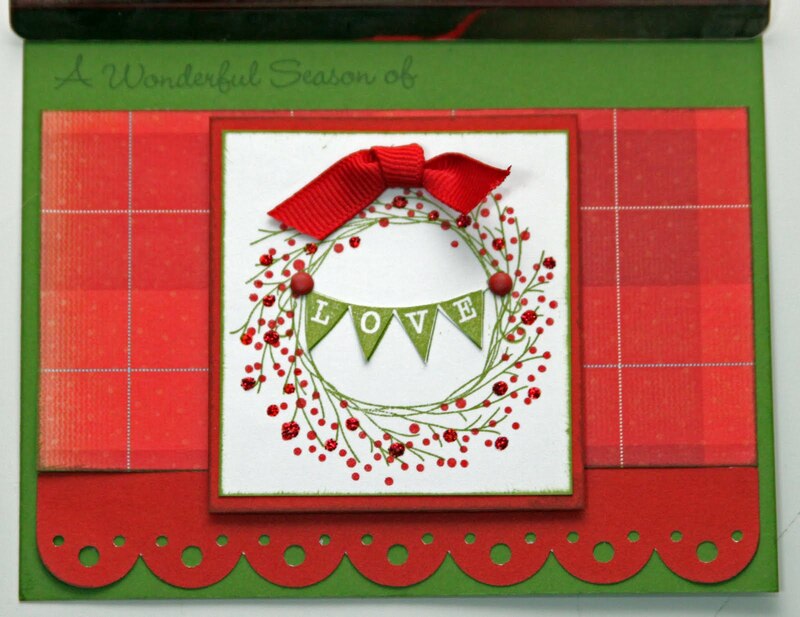 Most cricut images are from Art Philosophy (such as the cupcake, stars, scallopped circle and border, leaves, flowers and dragonfly). Some are from other cartridges (Hoot N Holler for the owl and Wildlife for the eagle). Had a great time at Marsha and Linda's Byrncliff Resort weekend crop last weekend! I spent all weekend working on two 20-Card workshops. 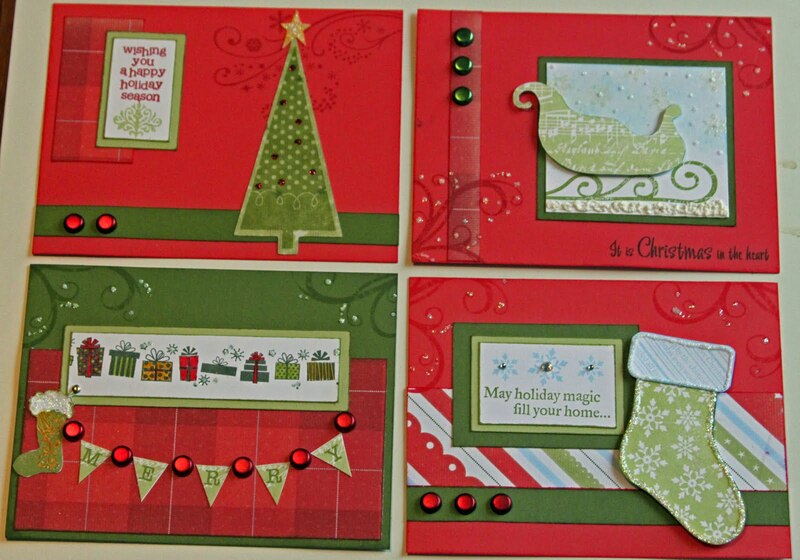 Here are some of the cards from one of the workshops. 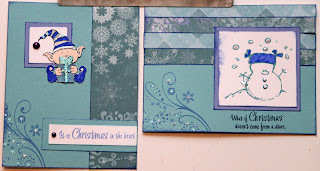 I used Wonderland Paper and all different stamp sets and Cricut cuts. 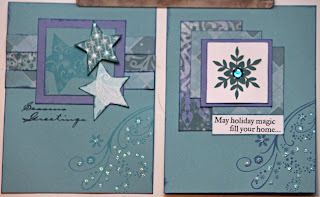 I started this workshop with my friend Donna a couple weeks ago and finished the cards last weekend. 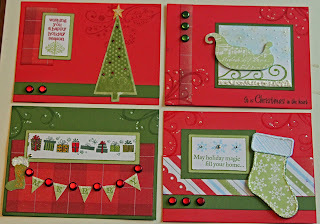 I have all my Christmas cards done for this year! Earliest ever! These workshops really make it fun and easy to do a lot of different cards in a short period of time with detailed (yet very small-think magnifying glass) cutting instructions. 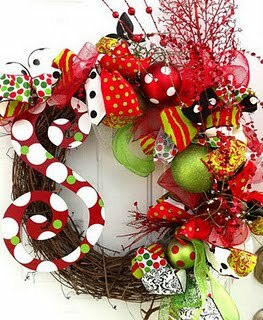 They are designed to be decorated a little more simply, but of course I have to make everything a little more difficult..lol. 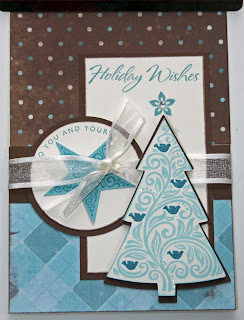 The Wishes book is a great tool to use when you are designing cards. 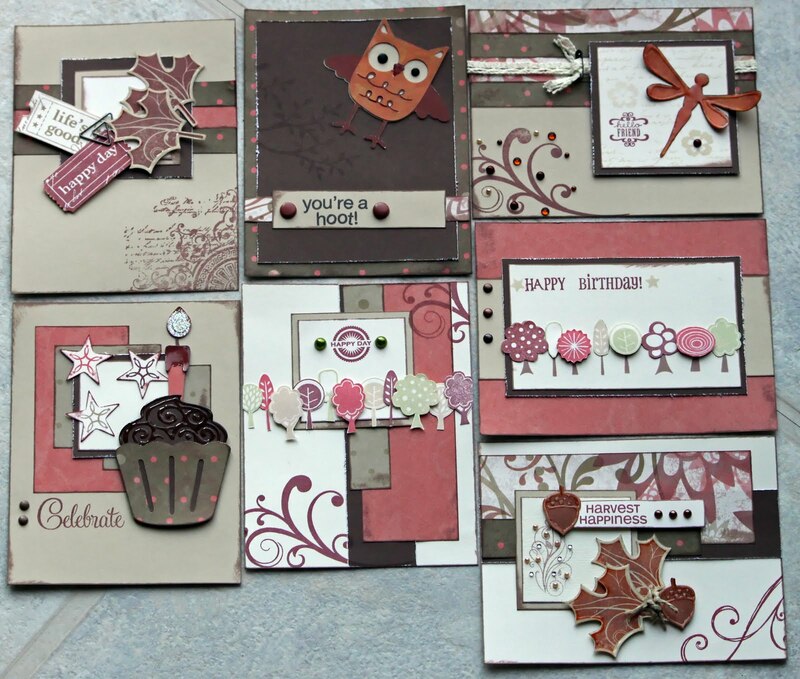 With a wide variety of different sizes and shapes of cards it's very versatile... as well as three different card workshops. Reminder to my customers... you still have time to get your artwork submitted to me for the October Challenge. I know some of you have created artwork using old stuff you purchased quite a while ago and just need to take a pic and send it to me. What are you waiting for?! Last week's Heart2Heart Challenge was a color challenge. We were to create something using Autumn Terracotta, Juniper and Bamboo. As has been the case I am a little behind, but here is my card. 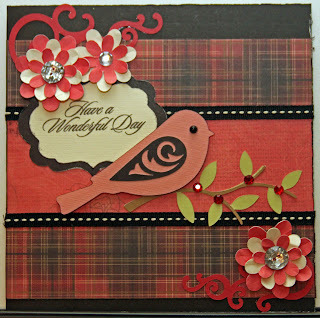 I used the old Felicity paper pack, the flourish from You and Me and the bird is from Bird Basics. Also, one of my new favorite sets, Universal Backgrounds is on the base. I have really been enjoying these challenges as they keep me creating at least once a week. The challenges are open to everyone and you can participate by clicking on the link above. This week's Heart2Heart Challenge was to create something with an autumn or halloween theme. 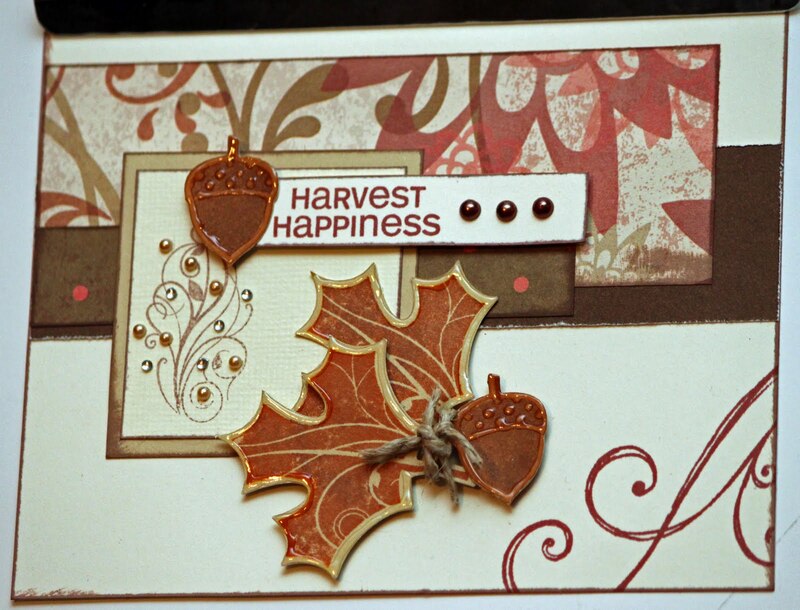 I made my card with the Felicity paper pack and the Harvest Happiness stamp set. 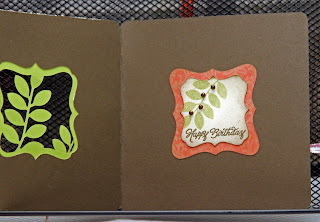 The leaves were cut from Art Philosophy and stamped with one of the stamps in the set. So easy! I'm a week behind for the Heart2Heart Challenge, but I finished it.. kind of...lol! Last week's challenge was to create something with a number in the design. I remembered this old saying we used to write when I was in high school and my first thought was to incorporate it into an "I Miss You" card, but then I remembered my "Book About Me" and I had all these old school photos of friends I had when I was younger. As you can see there are some areas waiting for pictures. I know I have these pictures, but I'll be darned if I can find them right now. When I do, they have a home. 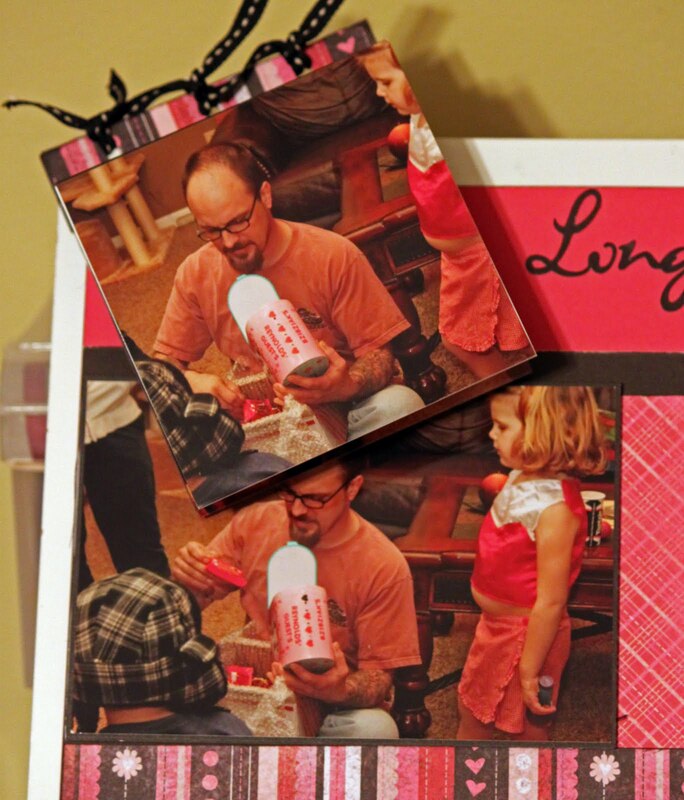 Each photo has a pocket behind it and I have a tag in there with journalling about each person and some memories about them. If I had (or find) extra school pics of these girls they also have a home in the pocket. While I was looking for the pictures I came across my Senior yearbook and after reading through it decided how I would "embellish" the page... with other phrases I found in there to give it a yearbook kind of feel. Not sure if it came across, but I am happy. It's another piece of me for my book, and all these random photos have a home now. Have you started your book about you yet? 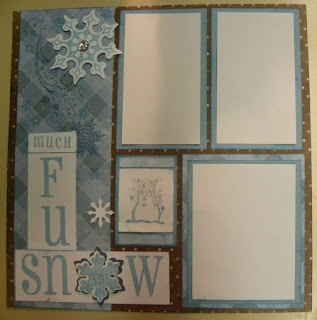 Here is Donna Davis's answer to my challenge to use something that you purchased from me long ago but haven't used yet. 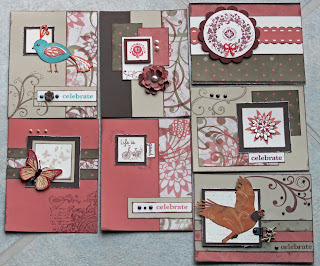 She has used the Caprice paper pack (one of my favorites that I too would hoard) on an awesome layout. Keep them coming! 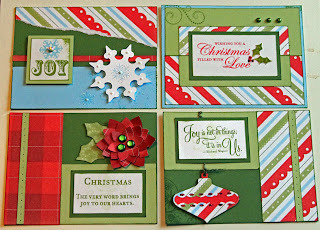 Here is a card Evelyn Mead entered in the October challenge to use something you bought from me a while ago, but haven't used yet. 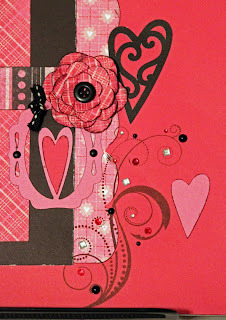 This card uses a stamp set she bought quite some time ago... what a great card! I 'think' I have that stamp set... I better get it out and use it! Don't forget today is the deadline for September's Art Philosophy Challenge so get me your pics ASAP! You can't win if you don't enter! Plus the bonus is, you've accomplished something! 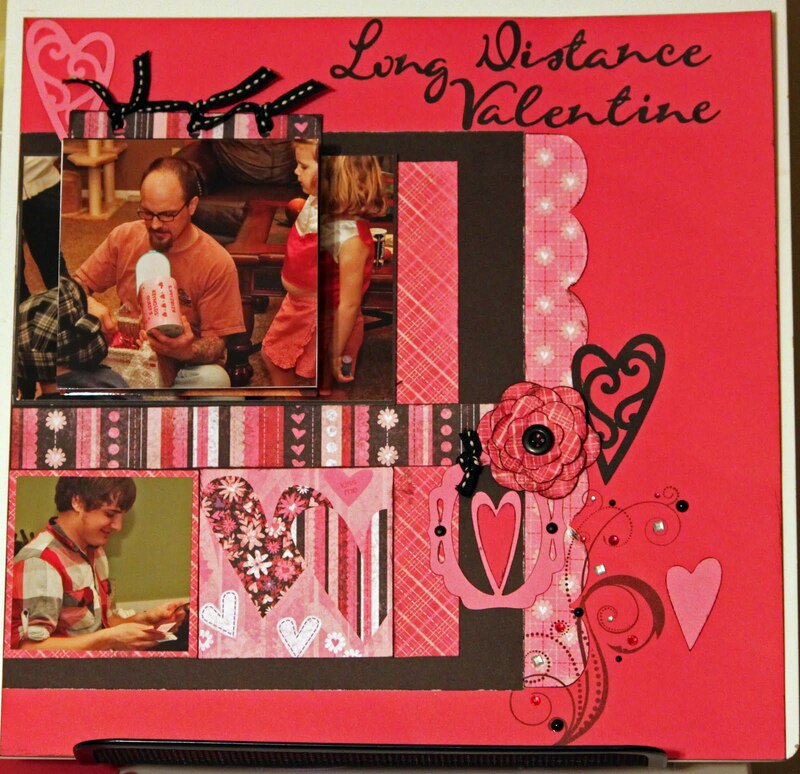 This week's Heart2Heart Challenge was to create a scrapbook layout with a story on it. I was very busy this week and wasn't sure I'd be able to do this one. I decided recently I am going to start a scrapbook that is all about me. My first thought was that I'd do a page using a picture from when I was little. Ironically enough, the first page I created for my "All About Me" scrapbook is about my grandfather. 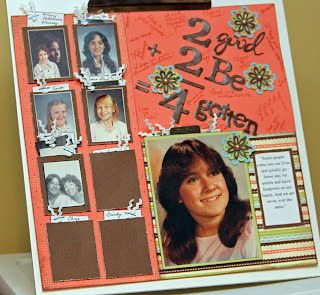 I decided that to tell my story I also have to tell the story of my immediate family. I had this picture of him (my favorite) and decided the layout would be about my favorite memories of him and the ways in which we were alike. The journalling is on the three tags in the pocket. 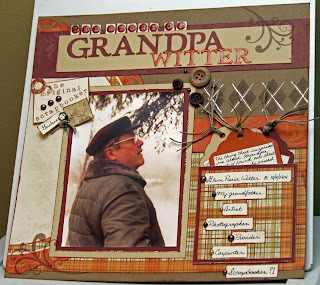 On one of the tags I wrote about how my grandfather was a scrapbooker. Not in the same way as me of course, "I have a scrapbook he made of a road trip they took. It is it man's scrapbook. There are no frills.. no paper flowers, flourishes, or even regular photos; but there is lots of journalling, clippings and postcards." (Never fear... there are lots of pictures; just not in the scrapbook). "The journalling is mostly done by typewriter, but there is some of his familiar handwriting. Looking at it reminds me of the importance of the story". This page took me a while. I really wasn't sure what direction I was going in with it. But when I was finished I made a vow that this scrapbook would be FULL of journalling and the majority of it would be handwritten by me. I also decided that my mom needs to start a scrapbook about her also, and I will be working on that with her soon. 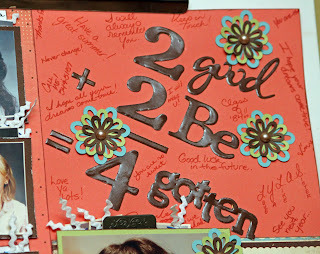 Here is Donna Davis' beautiful entry for a challenge I gave the girls at Michelle Moore's gathering last month. 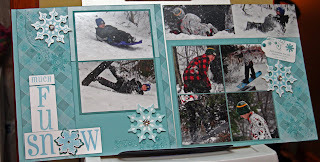 We made the Snow border at her gathering and the girls are to create a layout using it. Donna is all caught up on her scrapbook pages!!! jealous? So, her layout doesn't have pictures on it yet. Considering it's supposed to be one of the snowiest in a while around here I'm sure she'll have pictures on it before too long. Are you up to the challenge? September's challenge to my customers who purchased the new CTMH Art Philosophy Cricut Cartridge from me is coming to a close soon. So far I have only one entry. Don't forget to get yours in. 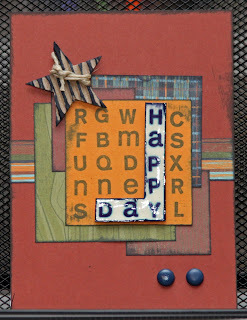 And the October Challenge is to create something... anything.. using some old CTMH product that you purchased a long time ago and just haven't used yet. The due date for this challenge will be in November. Winners are chosen by random draw. Get me a pic of your creation! I want to see what it is you're working on. This week's Heart 2 Heart challenge is a sketch challenge. Using this sketch we were to create something. The design can be rotated to fit the final product. I changed my design and moved the two vertical lines over a bit. 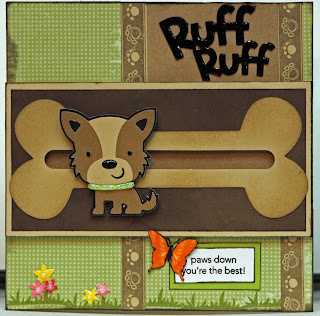 My card is a spinner card I made for my dog groomer for her birthday. If you've never seen one in action you can view the video. It's not a very good quality video but you'll get the idea. 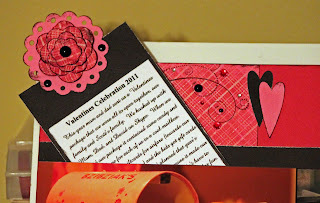 We'll be making one of these cards at a couple card workshops I have coming up in the next couple months. I have to give credit for the large bone in the middle to my friend Donna. Originally the center section was just paper and she suggested making it a bone. 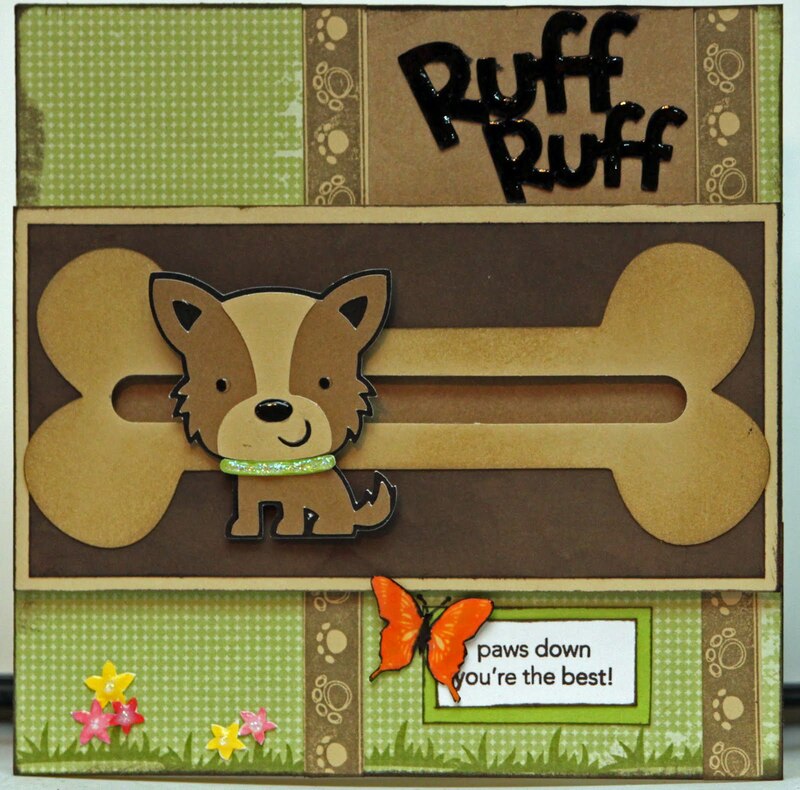 I cut the pup and the bone from the Create a Critter Cricut cartridge. The papers were from Wings and I think the darker paper under the bone was from Grace. 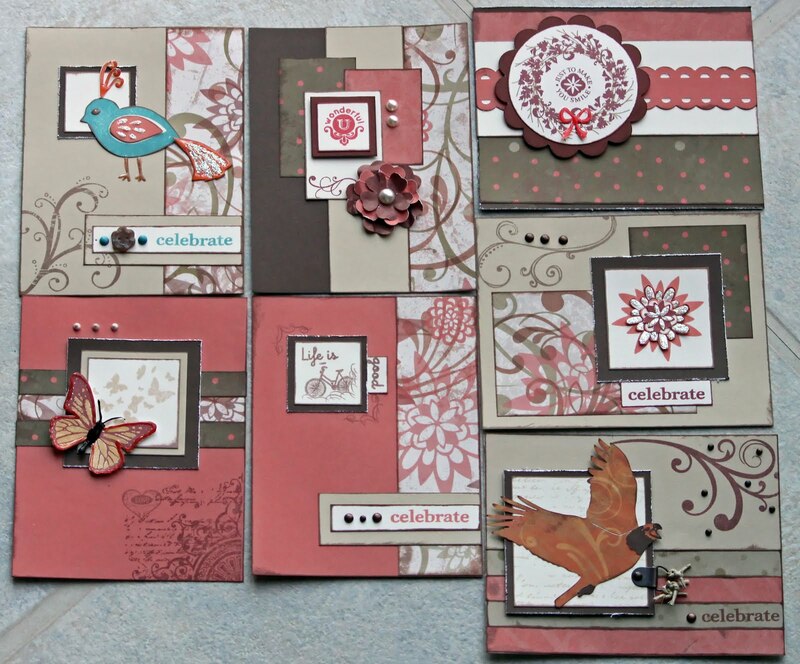 Used a menagerie of stamp sets current and retired: Grown With Love, Puppy Love, and Butterfly Kisses. 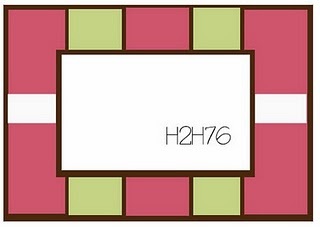 The colors are Pear, Bamboo, Cocoa, Black, Sunset and the little flowers are Sunny Yellow, Smoothie and Cotton Candy. 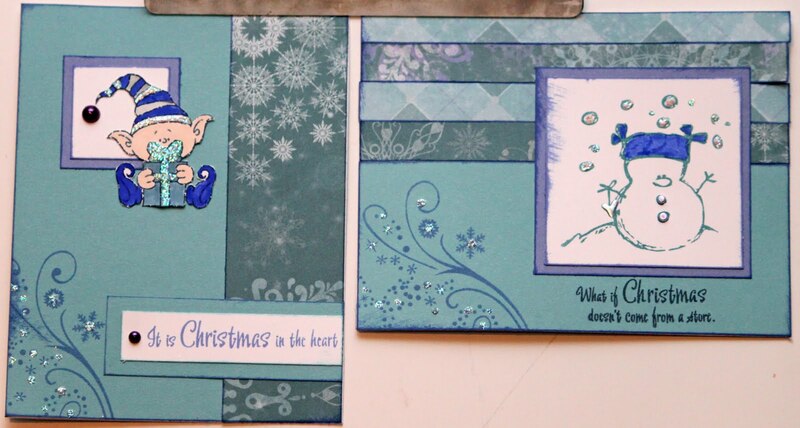 These cards are 9 of the 16 I created doing one of the card workshops in the Wishes book. 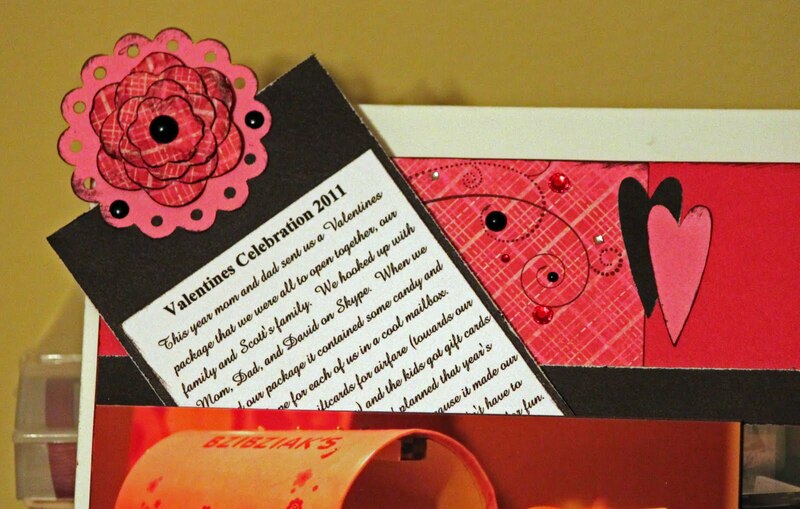 What a great way to get a lot of cards done in a short period of time. The idea is to make 2 each of 8 cards. Wishes shows you how to cut each of the papers and how to put each one together. All of these cards took only 2 pieces of cardstock and one piece of printed paper. 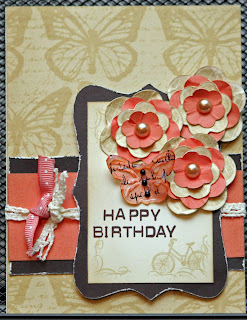 I used papers from the Believe paper pack for my cards. 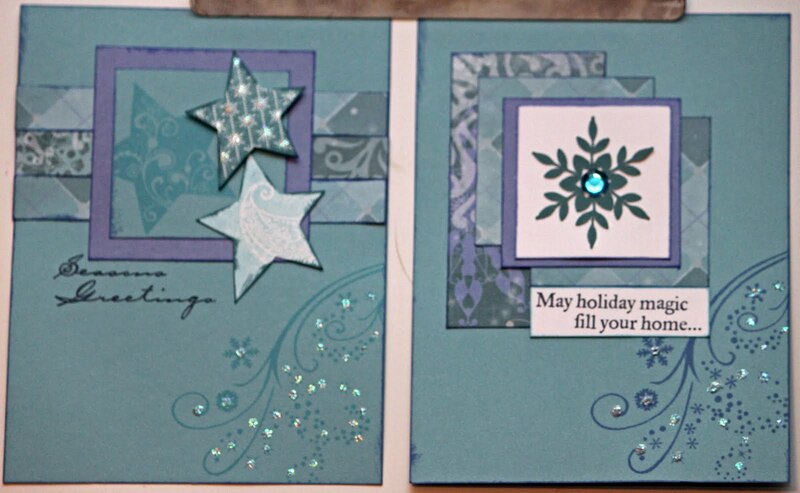 I also changed mine up and used two different colors instead of one colored cardstock and one neutral and then added white for my sentiments later when needed. Many of these cards also have images from the October Stamp of the Month. Submissions for the NonHalloweeny Wicked creations drawing were due this past Monday, September 26th. 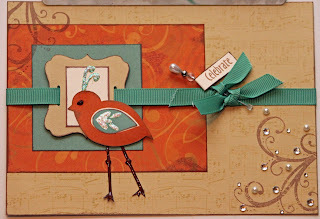 Here is Cheryl Lipowicz's creation.. oh so cute! You can see Donna Davis' creation also in an earlier post. Be sure to check it out because it is also fabulous. The winner was chosen by random draw. 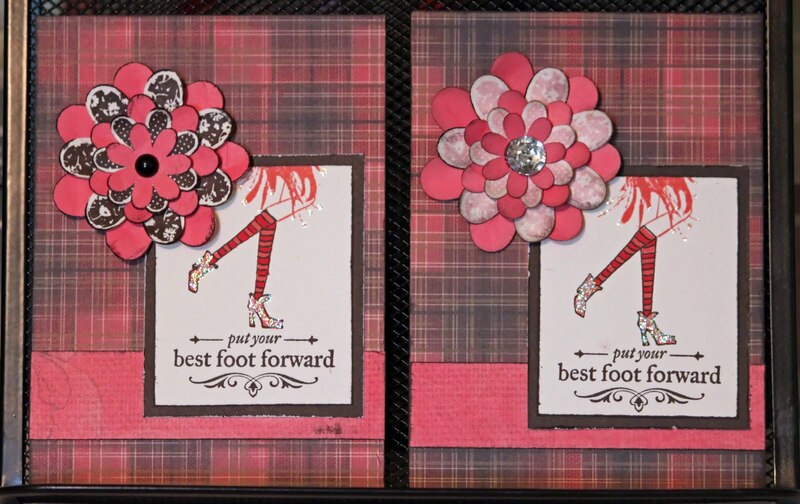 Cheryl's name was pulled and she will receive a Petite Perks stamp set from me. Thanks so much girls for playing! 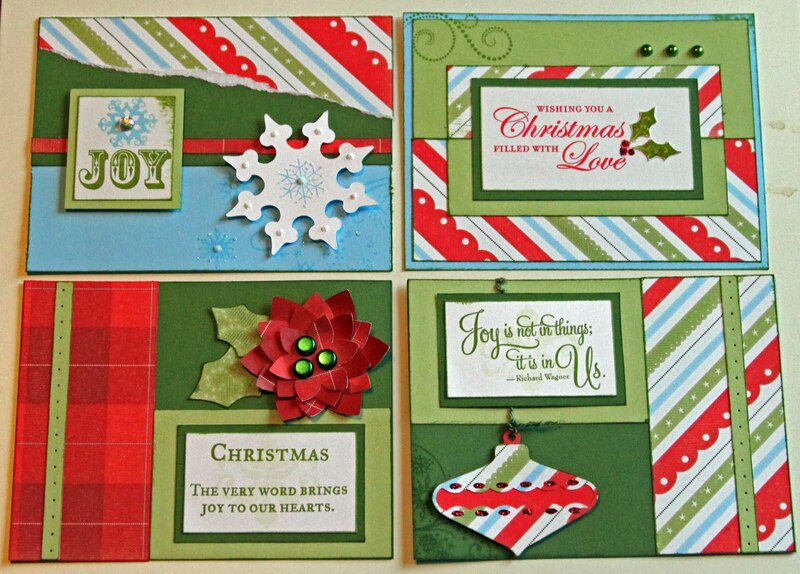 If you attended Evelyn Gier's card workshop last month or Michelle Moore's gathering this month don't forget about your challenges. Evelyn's is due tomorrow! Whatever you create, take a pic and forward it to me to be in the drawing. Also, if you purchased Art Philosophy Cricut cartridge from me in August or September, create something using the cartridge and forward a pic to me by October 20th to be in the September drawing. Remember... you have to be in it to win it! 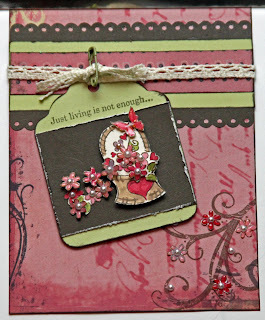 This week's Heart 2 Heart Blog challenge was to stamp only a sentiment and nothing else on the card. 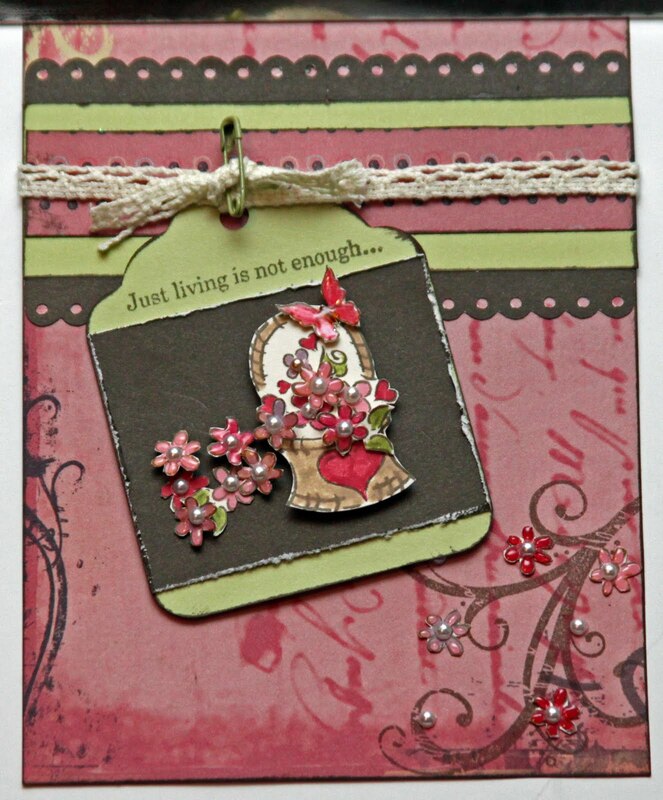 Any other types of embellishments could be used, but no stamps except for the sentiment. It was surprisingly difficult. I kept reaching for my old standby's along with my new faves... even just flourishes (ended up cutting those from the Art Philosophy cartridge).. because... well... flourishes are just my very favorite. 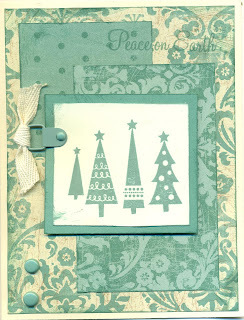 It was fun... but I do love my stamps for an extra layer of embellishment. Funny how something so "flat" can really add so much dimension. We made this border on the left side of the layout at a gathering last Saturday. I challenged the girls to use it to complete a one or two page layout. Here is my layout finished. 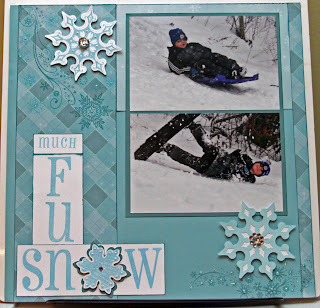 The snowflakes and tag were cut from the AP cartridge and I used Snow Flurries and Snowflakes Stamp Sets; added lots of Glitz Glitter Gel, Sparkles and Bling and my page was finished. Sometimes when you're blocked and can't get started; start small. Create a border and build off of that. Sometimes it's enough to get your juices flowing. 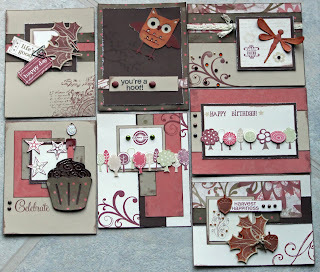 Close to My Heart has so many beautiful paper packs. 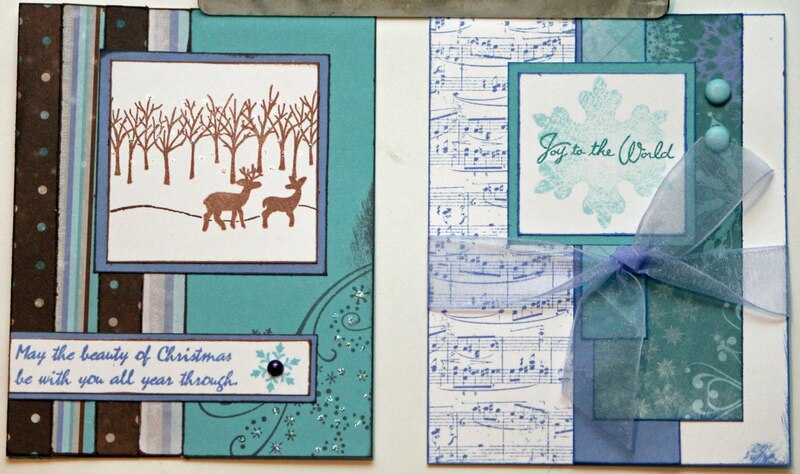 But there is so much you can do with just cardstock and your stamps and inks. 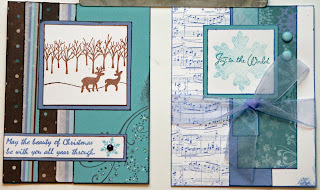 If there is a color scheme you want to use but you don't have the right printed paper, you can easily make your own. 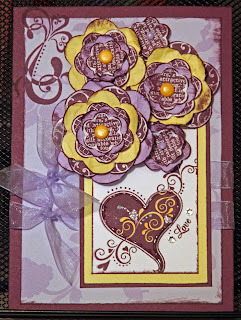 This week's Heart2Heart Challenge was to create something not using any printed papers with at least three different colors of cardstock. For my card I used Hooray Bouquet along with cut flowers from the Art Philosophy cartridge, some images from this month's Stamp of the Month, Limited Edition, the old retired set Butterflies and Universal Backgrounds. The colors I used were Bamboo, Black, Sorbet and Colonial White. 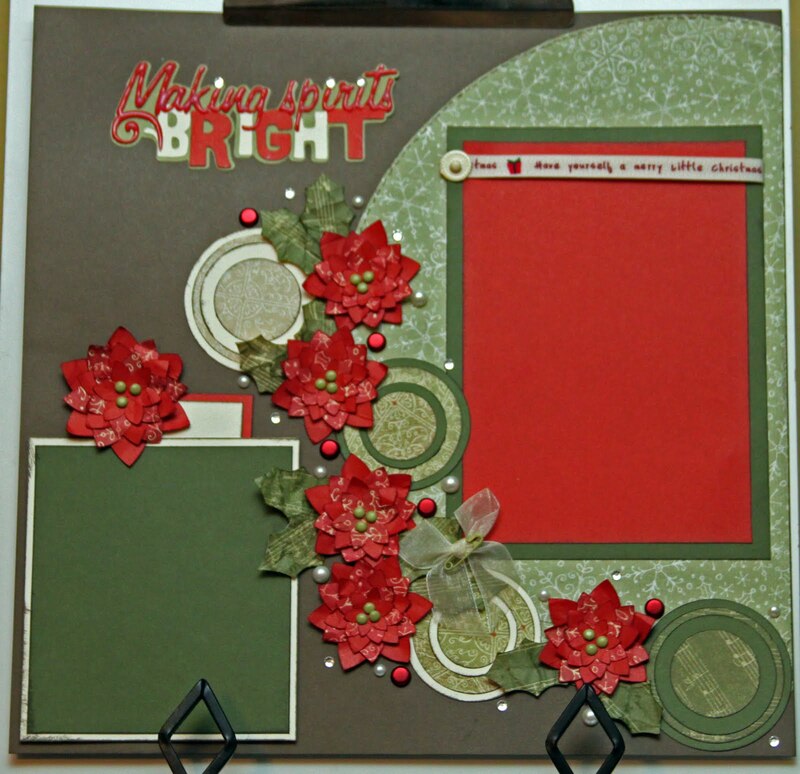 This layout is my entry for the Heart2Heart Challenge for this week. Our challenge was to show how we use diecuts. 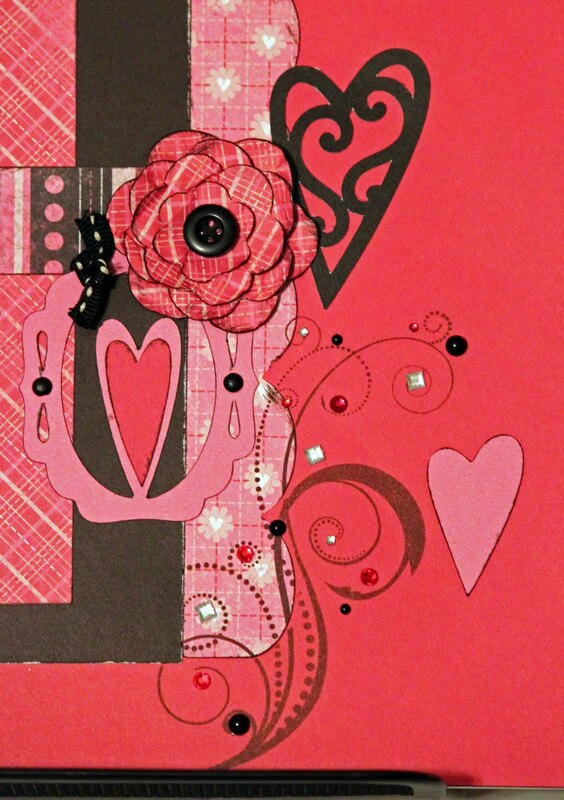 The flowers, hearts, and scallop are all from the CTMH Art Philosophy Cricut Cartridge. 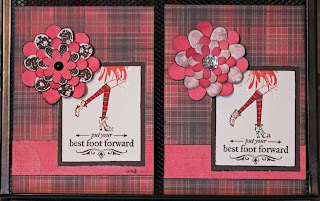 I used the Sweetheart Level II paper and coordinating cardstocks; the flourish stamp from the Love Life stamp set; and lots of Sparkles and Opaques gems. 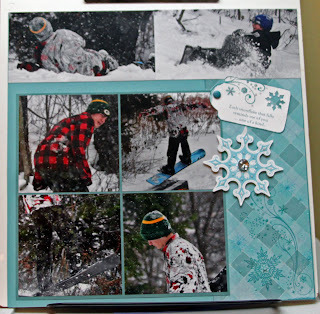 It has been so long since I did an actual scrapbook layout. Time has kept me to creating cards... it's just faster. But I've been aching to scrapbook. So I decided this was the week. The layout is "Transfigure" from our Magic book. The journaling is hidden on the left side of the layout behind the mailbox picture. Also, I had way more pics than would fit on the layout so (like the layout in the Magic book) I hid a mini book behind the pic on the right side of the layout. I had a lot of fun putting this together. 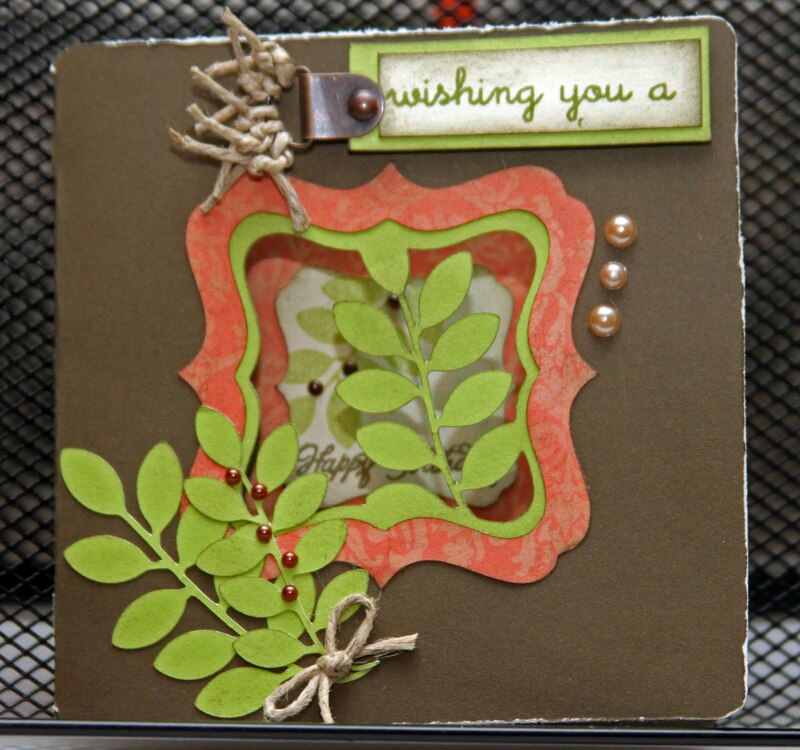 Here is a submission from Donna Davis for the September Cricut Art Philosophy Challenge. 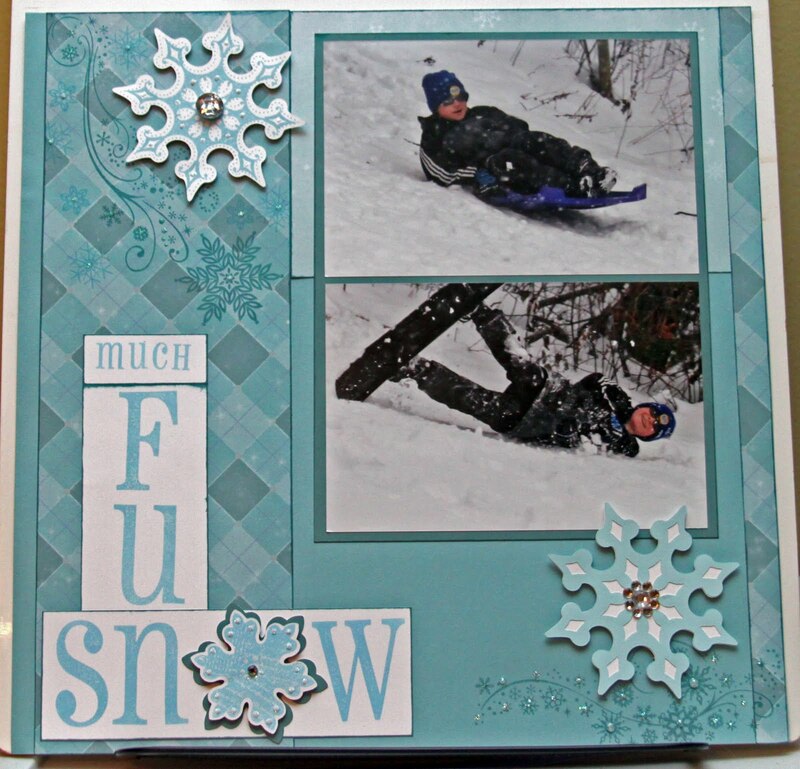 Donna used the snowflake from the cartridge and Wonderland paper to create this awesome card! She's going to teach me how to make these soon. 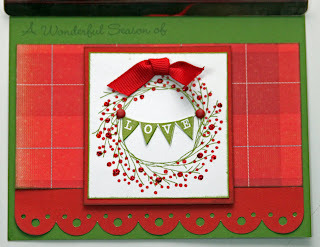 Here is my entry for this week's Heart 2 Heart Challenge. We are supposed to use our favorite color combo. This was hard for me because my favorite color changes every day let alone my favorite color combo...lol. So in the end I went way back to my very first favorite color combo from when I started with CTMH in 2006 of Hollyhock, Sweet Leaf and Cocoa. 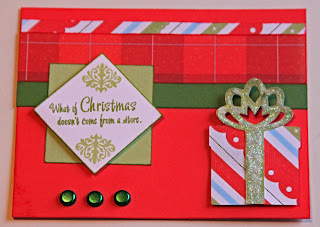 It just so happens these are also three of my most common favorite colors! The B&T papers were leftovers from Notebook. 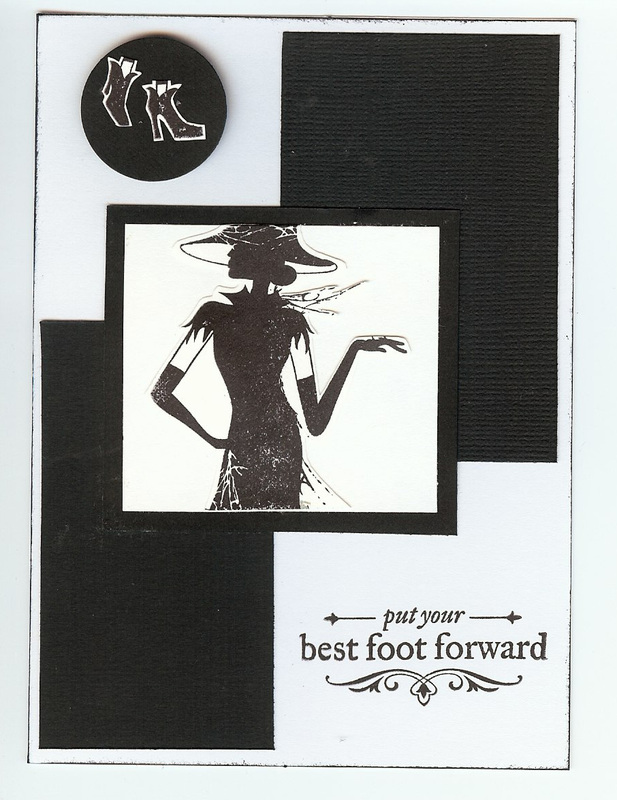 My card uses this month's special stamp set Pair A Phrase and the tag and scallop borders were cut using the Art Philosophy cartridge. The flowers have adhesive pearls in the center and another one of my favorites, liquid glass on their petals and on the butterfly. I'll be sending the card along with a lot of love and well wishes to my Aunt Judy who just had back surgery and is home and recuperating. Here is another take on the Wicked set. I've been thinking about this one for a while and finally sat down the other night to make it. I masked the pointy part of her hat and the bird. Then I re-stamped the hat and cut it out with a rounded top. I couldn't get the crisp look I wanted just masking the hat. The border, the photo corners and the sentiment shapes were all cut on the cricket from the Art Philosopy cartridge. I used colors from the Wonderland paper pack including Spring Iris, Grey Wool, and Sky Blue. Don't forget to get me pics of your Wicked creations. 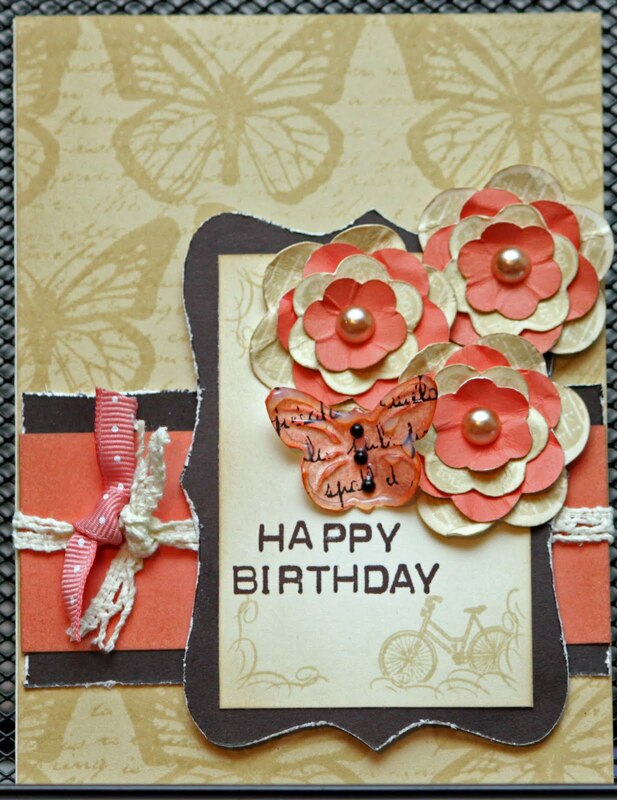 Here is a card from Evelyn Gier that was made using the Olivia papers and some Art Philosphy Cutouts. A beautiful entry to a "scrap" challenge I gave to the girls that attended a 5 Card Workshop last Friday. They picked from a grab bag of extras (mostly insides from Art Philosophy cutouts) and were to make anything with them. Evelyn, aka The Overachiever (by those jealous of her quick talents) wasted no time in getting me her artwork! Thank you for sharing Evelyn!